Today I feel as if I've been beaten repeatedly with a wet noodle! It was soooo busy today at work. It was one of those days when the cell phone would be ringing, the desk phone would be ringing and people would be waiting to see me. It was also a day to pray with a couple of residents about their son who just learned he had cancer, show kindness to someone who was angry and confused, plan towards more Memory Walk fundraisers, pray about test results for a fellow staff person and friend and encourage and listen to someone who is grieving. Hmm. Did I laugh today? I'm not sure. Today wasn't a bad day. It was just steady, busy, hectic, slammed, crazy, wild, little time to breathe or think kind of day. 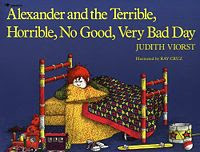 Judith Viorst wrote a great little kids book in 1972 called Alexander and the Terrible, Horrible, No Good, Very Bad Day. I really love this book. From the moment he wakes up with gum in his hair, things just do not go Alexander's way. At breakfast, Alexander's brothers Nick and Anthony reach into their cereal boxes and pull out amazing prizes, while all Alexander ends up with is . . . cereal. His teacher doesn't like his drawing of an invisible castle, he loses his yo-yo, there is no dessert in his lunch, the dentist tells him he has a cavity, there is kissing on TV, and he has to wear his railroad train pajamas (he hates his railroad train pajamas). No wonder Alexander wants to move to Australia! 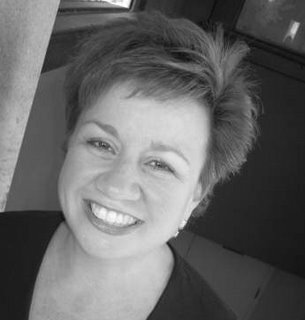 The book ends with his mother's assurance that everyone has bad days, even people who live in Australia. So, today, even though it wasn't a bad day, I realize that even people who live in Australia have days like this. How was your day? Do you want to move to Australia? That is one of my very favorite books!